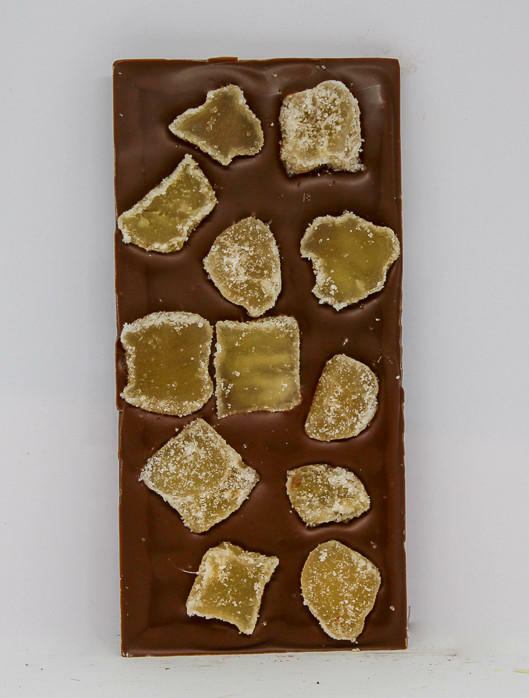 Large chunks of crystallised ginger dominate this chocolate. 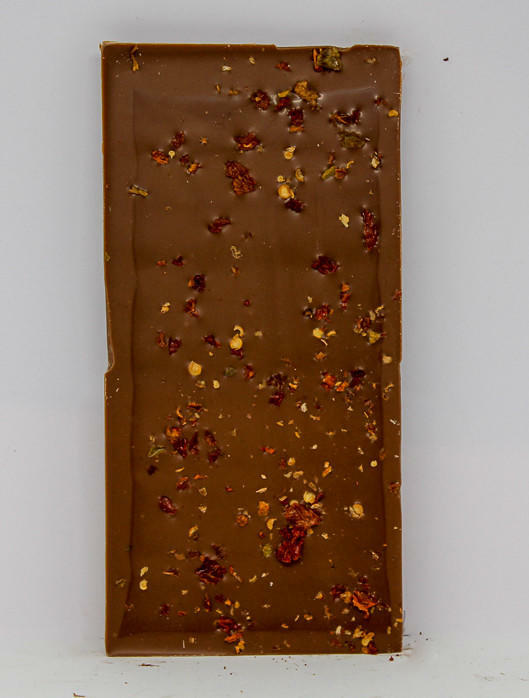 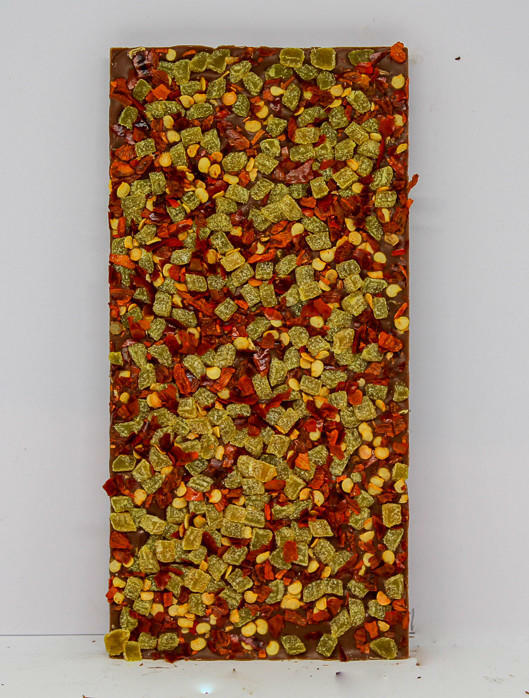 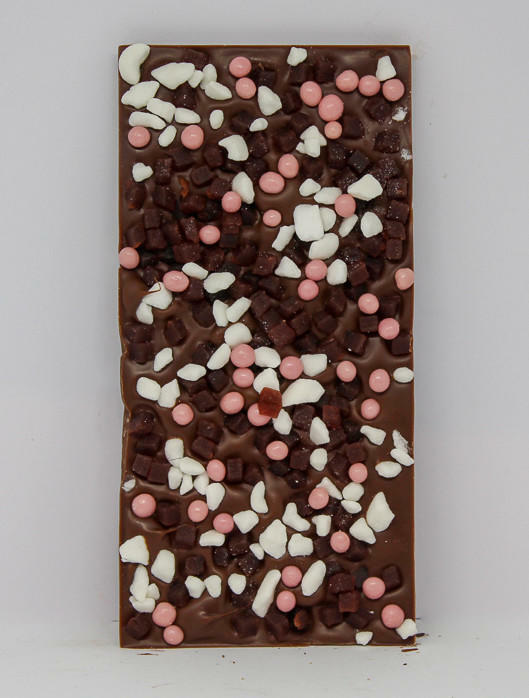 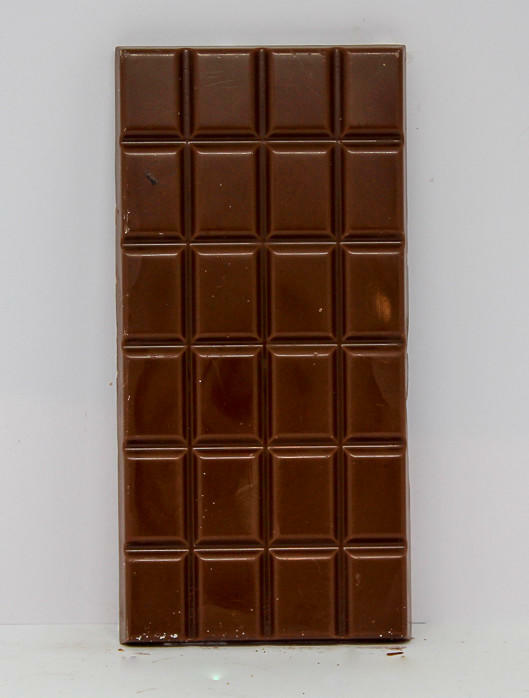 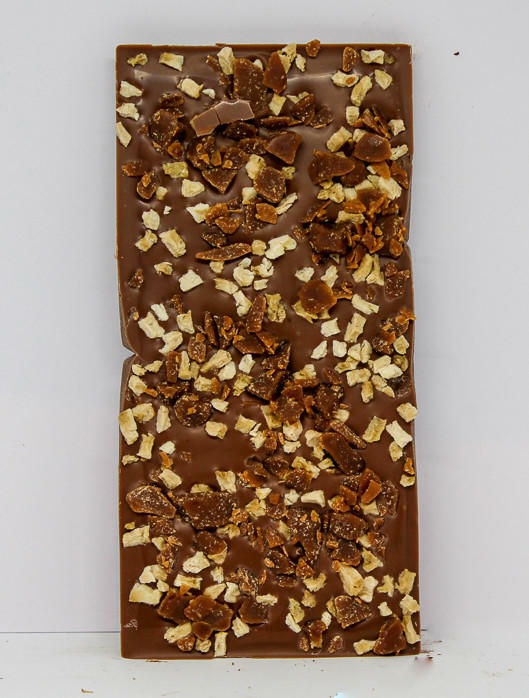 There is a noticeable natural heat from the ginger and being crystalised it also adds some welcome sweetness against the pure milk chocolate which will make you wish this chocolate would never finish. 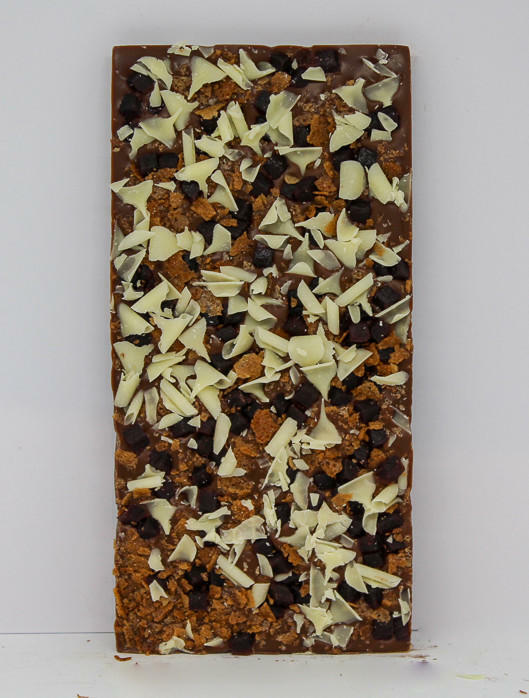 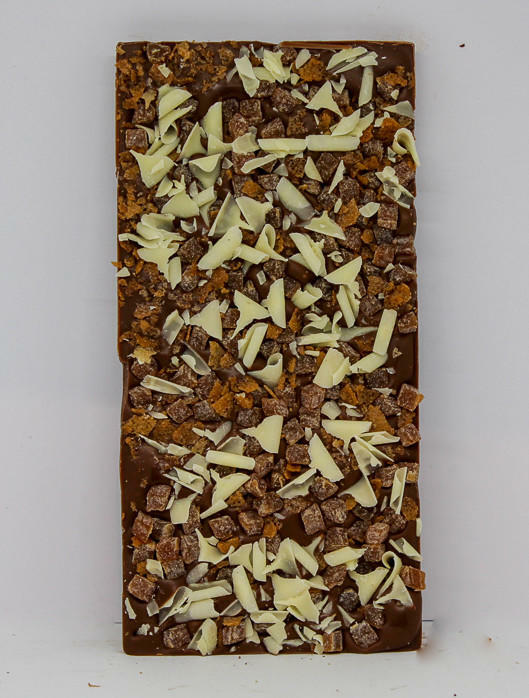 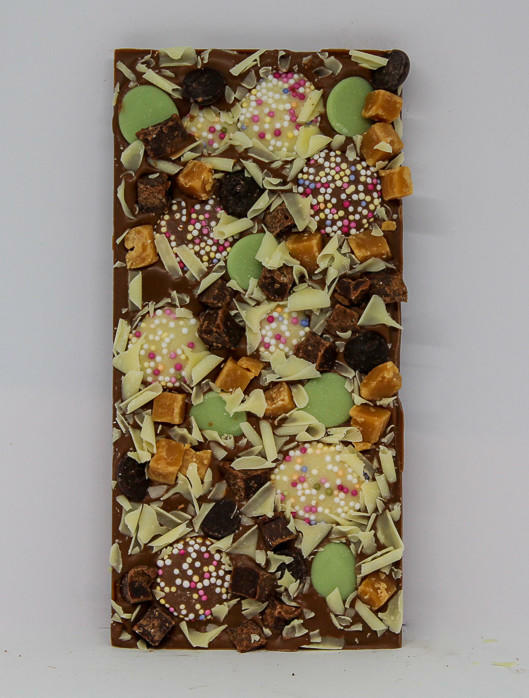 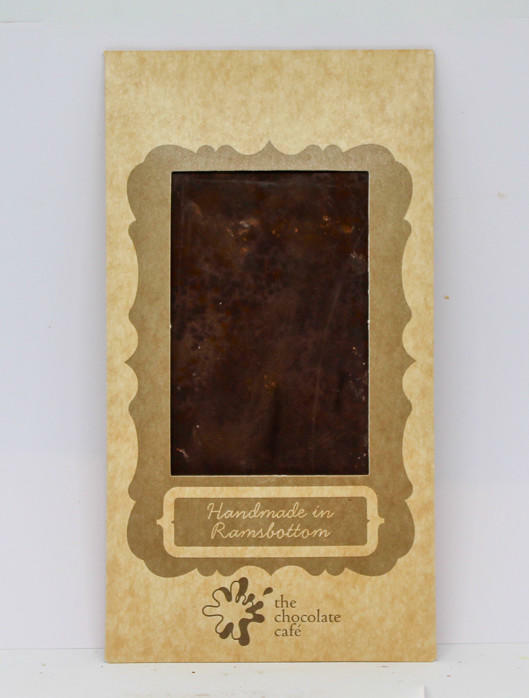 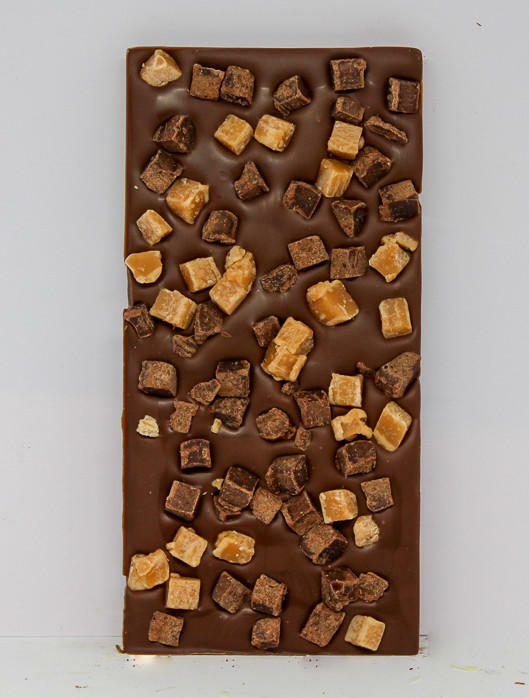 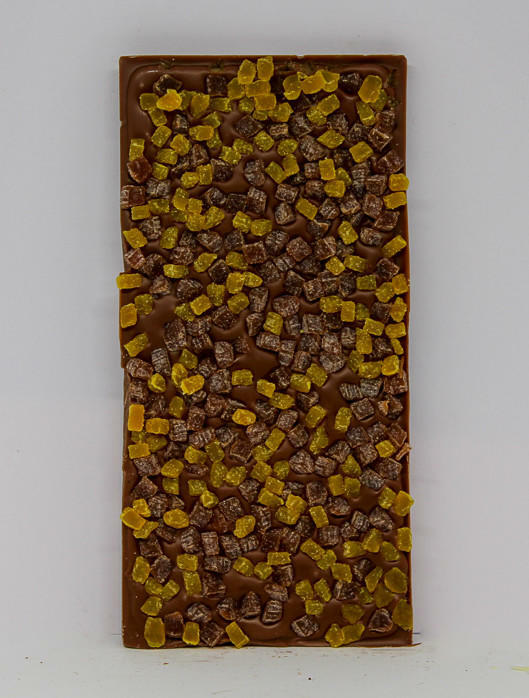 34% milk chocolate with crystallized ginger pieces, handmade in our workshop in Ramsbottom.